By buying this product you can collect up to 8 loyalty points. Your cart will total 8 points that can be converted into a voucher of RM1.60. Kindly stated your size in Remarks field while placing an order. This product is WAHM's product by BigEyesShop. 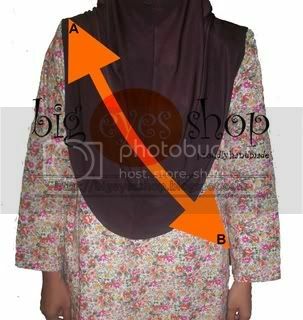 Printed cotton yang berkualiti dan kain kosong di bahagian dalam menggunakan stretchy cotton. Sesuai digunakan untuk newborn hingga toddler dan mampu menampung berat sehingga 15kg. Pouch sling is the easiest way to hold your baby near to your heart. You may use 3 positions - craddle, front and hip carry. The best part that I heart pouch is it follows mom's size and NOT baby's size! You can breastfeed your baby while 'wearing' him/her. *Kindly stated your size in Remarks field while placing an order..